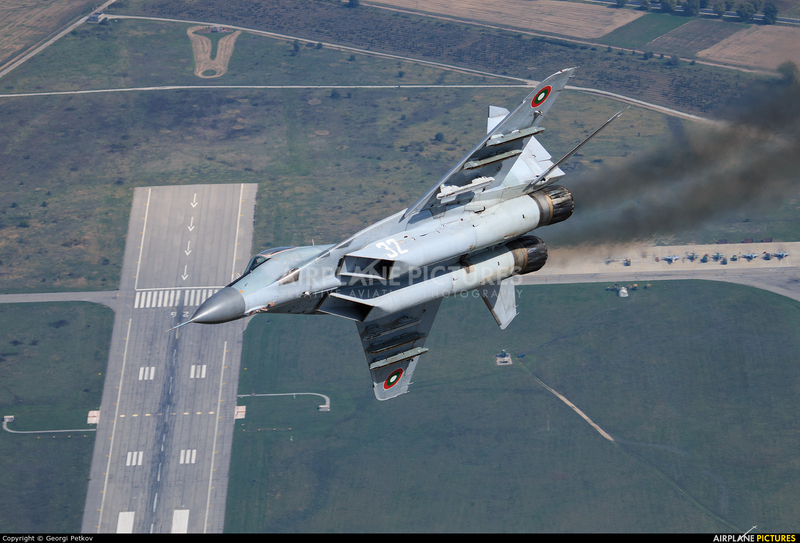 Hard right turn above Graf Ignatievo Airbase. QRA can be seen on the ground. That's really impressive from above !